AUSTIN, Texas — The attorney general of Texas has filed a motion to intervene in a lawsuit against a judge who was sued by a prominent professing atheist organization over his practice of opening court with a chaplain-presented prayer. 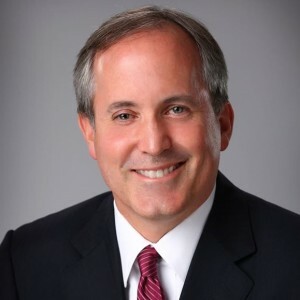 Paxton’s motion was filed on behalf of the Texas Commission on Law Enforcement. As previously reported, the Wisconsin-based Freedom From Religion Foundation (FFRF) sued Judge Wayne Mack of Willis in March in an effort to obtain an order prohibiting the prayers. It had first sent a letter to Mack in 2014, stating that it had received a complaint from an attorney and a local citizen, who said they felt coerced to participate in the courtroom prayers out of fear of being disrespectful. Mack ignored the correspondence. FFRF then sent a complaint to the Texas State Commission on Judicial Conduct, which—along with Lt. Gov. Dan Patrick—then requested that Attorney General Paxton issue a formal opinion on the prayers in Mack’s courtroom. Last August, Paxton upheld Mack’s prayer practice as being lawful and consistent with both American history and legal precedent. He pointed to the U.S. Supreme Court’s ruling in Town of Greece v. Galloway. “[W]e believe a justice of the peace’s practice of opening daily court proceedings with a prayer by a volunteer chaplain … is sufficiently similar to the U.S. Supreme Court’s decision in Galloway such that a court would likely be compelled to agree with Galloway that the long-standing tradition of opening a governmental proceeding with prayer does not violate the Establishment Clause,” Paxton wrote. Mack made a few changes in the interim, such as after asking any objectors to step out of the room, automatically locking the doors to the courtroom until the prayer is over. However, FFRF said that the adjustments were not enough because those seeking re-entry will have to knock on the door and thus be seen by others. “Judge Mack has created a courtroom prayer practice that unambiguously and unnecessarily endorses religion in violation of the Establishment Clause of the First Amendment to the U.S. Constitution,” the lawsuit states. On Wednesday, Paxton, who reportedly attends a nondenominational church in Frisco, announced in a press conference that his office had filed a motion to intervene in the legal challenge and join in the defense for Mack. FFRF contends that Paxton’s filing doesn’t demonstrate a strong enough interest in defending the prayer practice. It plans to oppose the motion.